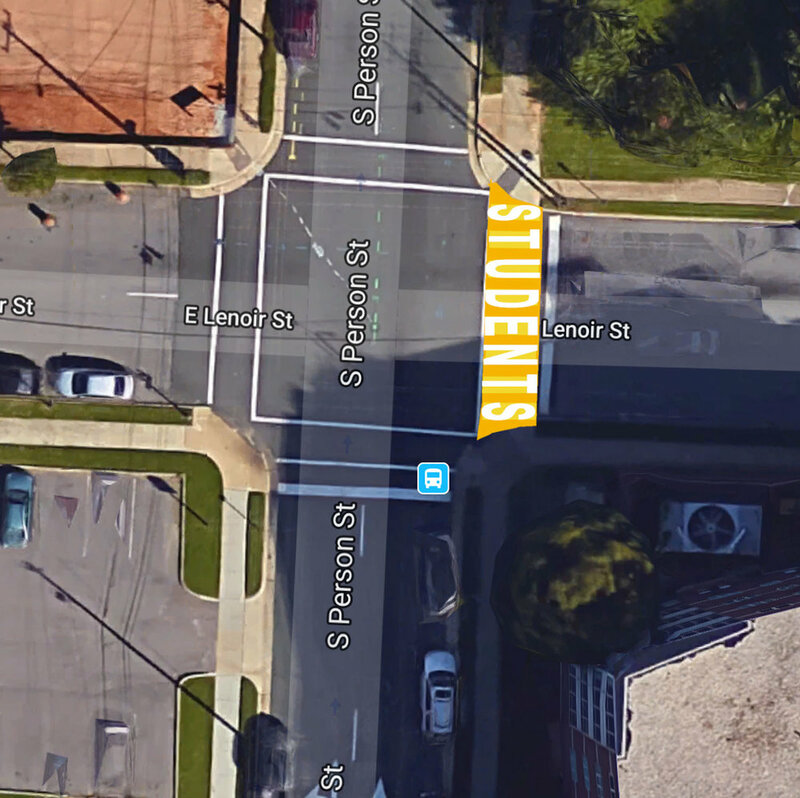 WHAT IF... WE WROTE A CITY-LONG SENTENCE WITH CROSSWALKS? Person and Blount are Raleigh's longest continuous north-south streets. A literal cross-section of the city, they were part of Raleigh's original grid of streets. After years of grid-butchering, these two are among the few that have survived, connecting a wide range of neighborhoods from north to south. 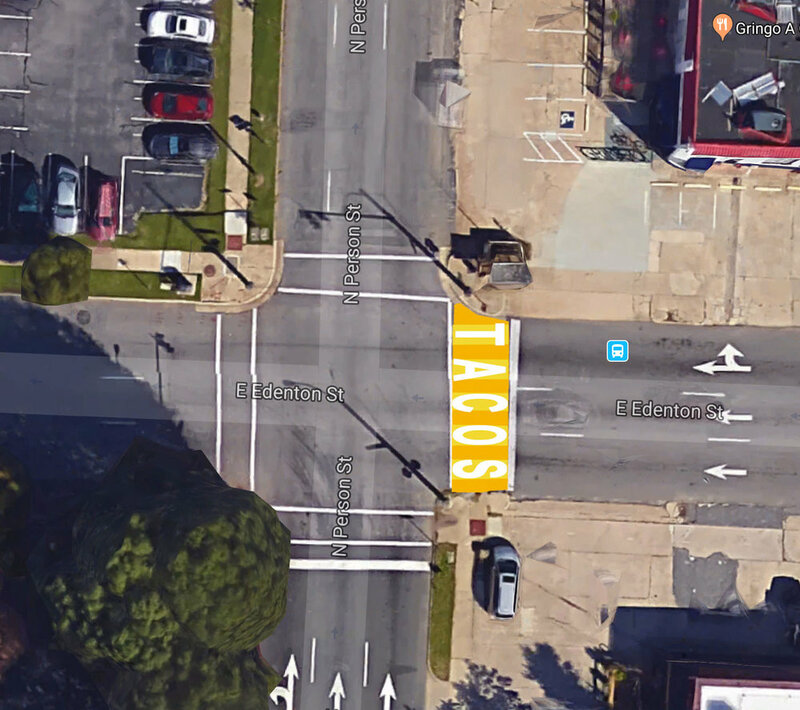 What if we celebrated this with a series of crosswalks, creating a city-long sentence along Person Street, spanning all the neighborhoods it passed through? Words could give identity to the street and surrounding neighborhoods and businesses. perhaps "TACOS" near Gringo-A-Go-Go, or "DINING,"
It could grow and change over time, painting over old words with new ones, maybe new colors. It's simple street paint, easy and quick to put down or change. An evolving community-written sentence, it would highlight how we value walking and friendly pedestrian streets, weaving a common thread to follow through the diverse neighborhoods of Raleigh. And it would be fun to do! Neighbors and business owners coming together to express a shared identity in a word or two. In cities all over, communities are coming out to co-paint streets like this. The idea might spread to other parts of the city. Share if you're interested, and let us know what you think!